In order to streamline the admission of students and Research scholars into various P.G. and Research programs of Acharya Nagarjuna University, the Directorate of Admissions‘ was established in the Academic Year 2003-04. 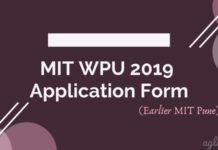 The Directorate is responsible for to make sure the availability of applications and information brochure to the candidates seeking admission into different PG Courses of M.A., M.Sc., M.Com., M.H.R.M., M.Ed., M.P.Ed., Integrated 5 Year Programs (MBA-International Business and M.Sc. Nanotechnology) and Diploma Courses (Ambedkar Studies and Yoga). 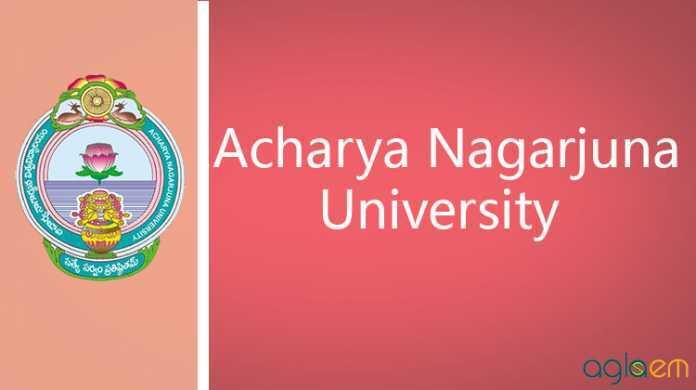 Let’s check out more details about Acharya Nagarjuna University. The student can obtain application for admission either from Directorate or from the sales centers specially marked for the above purpose, by paying prescribed charges in the form of Challan or demand draft. A minimum of one month time is prescribed for receiving filled in application from the date of notification. 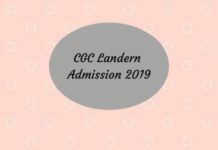 Admission of students into all PG courses is made on the basis of the rank obtained by them in the entrance test conducted by the Directorate. After the scrutiny of received applications, the hall tickets will be sent to the applicants with the details of date, time and centre of entrance test. 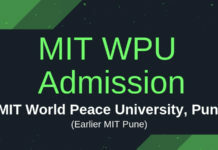 The process of admission usually begins in the 2nd week of March and completes by the 3rd week of June to enable the students to attend the classes from June last week onwards every year. The Directorate of Admissions takes care of collection of tuition fee and other fees on behalf of all colleges into which admissions made and maintains accounts to release the money to the colleges after the closure of the admissions. The Directorate also makes similar arrangements and adopts the above procedure for the admission into M.Tech (Evening Courses), M.Phil and Ph.D programs. 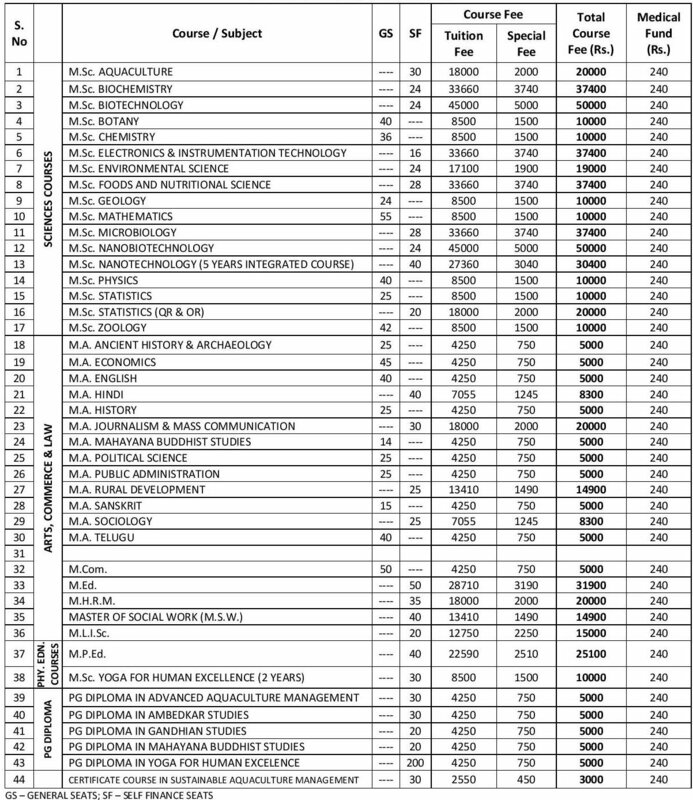 Courses offered and seat intake for each course in Acharya Nagarjuna University is given below. The rule of reservation for SC, ST and BC is adhered strictly as per State Government order. The reservation in respect of NCC, Sports, Differently abled persons and Children of Armed forces Personnel is also followed. Fee reimbursement facility is made available to the eligible admitted students as per the norms of the State Government.